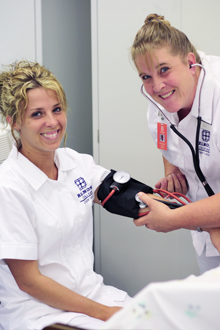 Belmont College offers Transitional Nursing curriculum in which a Licensed Practical Nurse (LPN) has the opportunity to enter the Associate Degree in Nursing program. 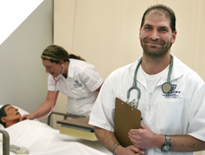 Following the Transitional Nursing term, the Licensed Practical Nurse can pursue an Associate Degree in Nursing and become eligible to take NCLEX for Registered Nurse licensure and practice. A graduate of a state approved school of practical nursing with unrestricted current licensure and a GPA of 2.5. The licensure must be current and unrestricted as of the first day of class. While it is recommended to maintain the LPN license, it is not a requirement to do so after the first day of class. Meet the ADN criteria for admission including current physical exam and immunizations (within twelve months prior to the date of application. If a student does not submit the required health and physical information prior to the first day of class, the student will be removed from the program.